Home > News & Topics > Topics > Milk testing: chemical analysis of lactic acid in milk. Why you should test the lactic acid in milk? 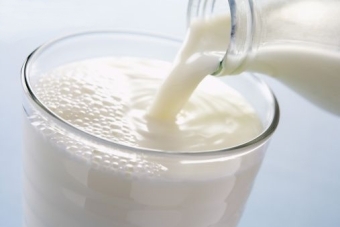 The presence of lactic acid or lactate in milk is due to the fermentation of lactose caused mainly by lactic bacteria. Generally speaking, just-milked milk does not contain lactic acid, but this increases after a while and its concentration is closely correlated to the total bacterial charge. Thus lactate can be used as an indicator of milk’s hygienic quality and of its state of preservation . Thus an analyzer capable of carrying out the chemical analysis of L-lactic acid in milk is considerably useful for diary cattle farms, for companies in charge of the transformation and packaging of milk and its by-products, for institutions assigned to the control and for dairy industry research laboratories. The most important biochemical reaction that takes place in cheeses is the transformation of lactose into lactic acid. The main characteristic that a cheese microorganism must have is that of producing lactic acid to prepare the “ground” for the subsequent biochemical transformations that occur during cheese production. This activity, which is called “acidifying power”, always dominates the first stages of cheese making and has led to the use of lactic bacteria as inoculations to inhibit harmful microfloras and to aid a regular aging process of cheeses. In order to use some good starters, it is necessary to determine their acidifying activity, that is the capability of producing LACTIC ACID starting from a cultivation substrate [2,3,4]. It is thus important for companies that deal with the transformation of milk by-products to have a reliable analyzer capable of carrying out the lactic acid test on milk. Lactic Acid can be measured in 8 minutes on the CDR FoodLab analyser. L-LACTATE ELETTROCHEMICAL BIOSENSOR: PERFORMANCE EVALUTION AND THE APPLICATION IN THE MONITORING OF MILK MICROBIAL ATTACK Nwosu, T. N., Departiment of the Chemistry, Obafemi Awolowo University, Nigeria. Moscone, D., Palleschi, G., and Mascini, M. Departement of Sience and Chemical Technologies, 11 University of Rome, Rome, Italy BIOSENSORS 92 pg.249. Bianchi Salvadori B.: Nuove tipologie di starter, loro impiego nelle preparazioni dei prodotti lattiero caseari. Ind. Latte, 27, (1), 55 (1991). Parente E.: Il ruolo dei microrganismi nella maturazione dei formaggi. Caseus, 3, (1), 13 (1998). I controlli nel settore lattiero – caseario. Morgan edizioni tecniche. Laboratorio 2000. Milk testing: chemical analysis of lactic acid in milk. was last modified: September 17th, 2018 by CDR s.r.l.